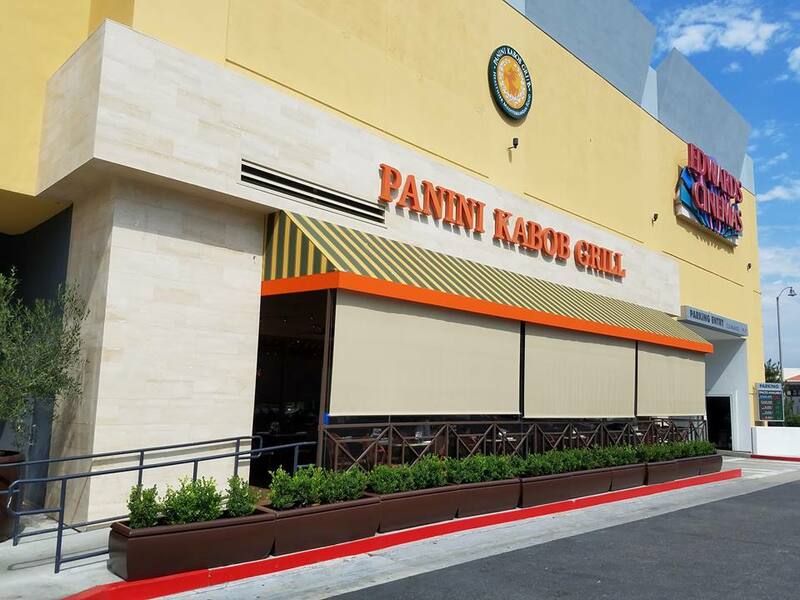 Panini Kabob Grill Now Open at the Kaleidoscope in Mission Viejo! Wow.. 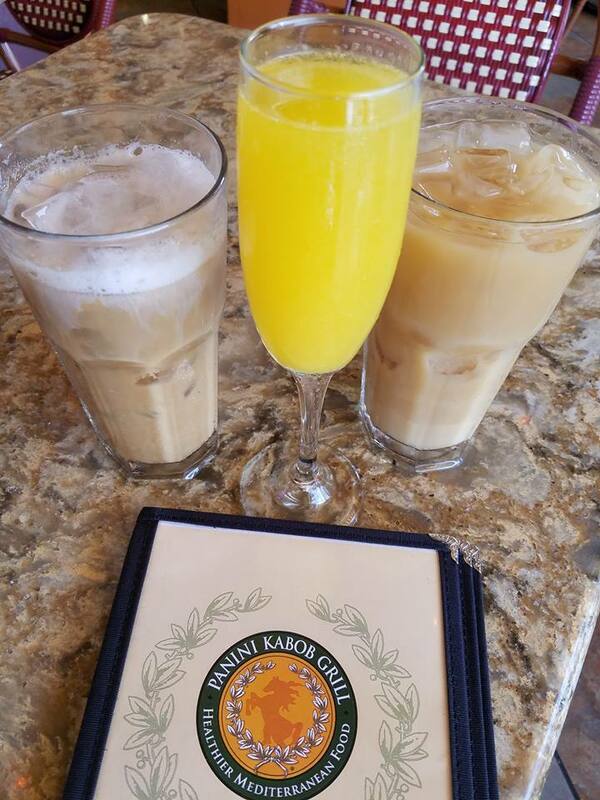 I love that breakfast & brunch are offered daily at Panini Kabob Grill in Mission Viejo... not many local places do. 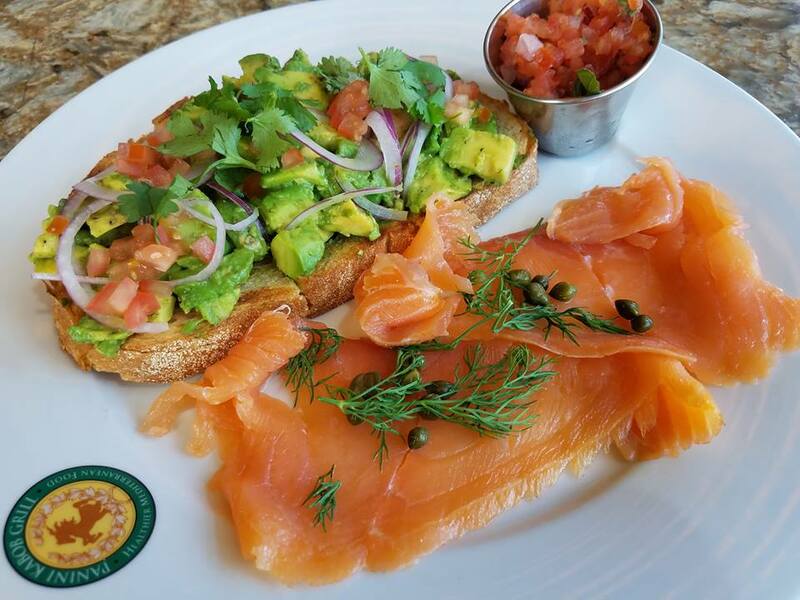 Fresh, flavorful and plentiful too! The portions are big, you can share, but you may not want to! With outdoor and indoor seating too this is a great location with reserved parking at the Kaleidoscope Mission Viejo ! 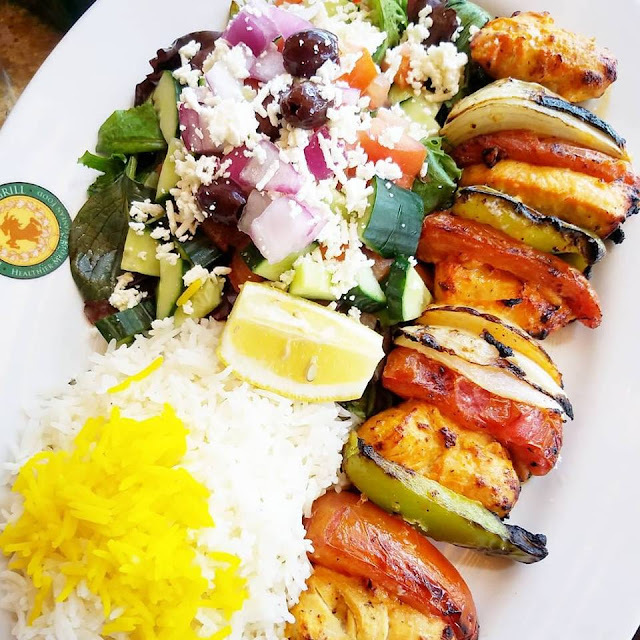 Panini Kabob Grill serves a variety of Salads; Panini's; Wraps; Shish Kabobs with steak, chicken, lamb, salmon or shrimp; and vegetarian entrees including a Falafel Platter, Charbroiled Organic Tofu Kabobs, and Stuffed Bell Peppers. 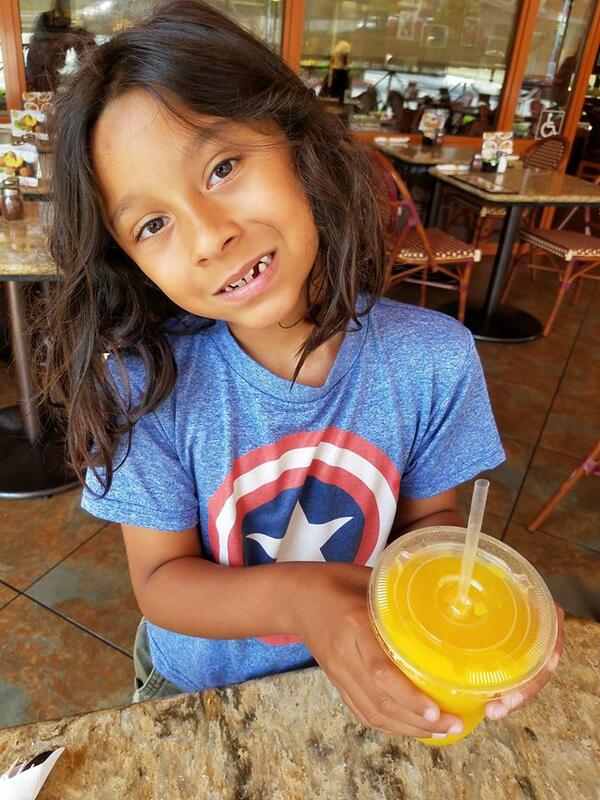 Family Platters can be ordered for sharing at under $30, and a Kids Menu is available to children 12 and under. 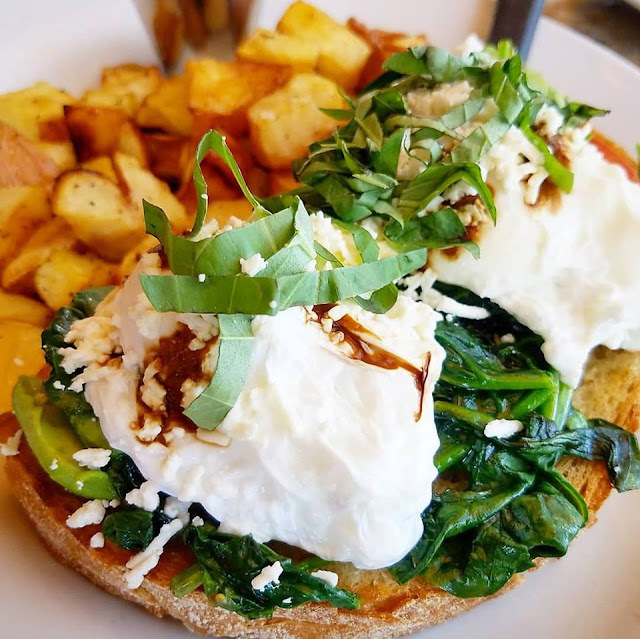 The restaurant serves breakfast on weekdays until 11am and on weekends until 3pm. 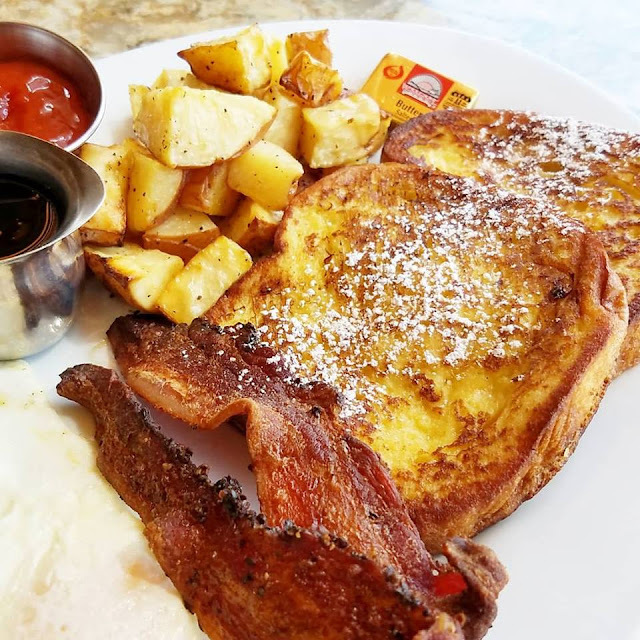 The menu includes an assortment of Eggs, Paninis, Wraps, French Toast and more. 10. 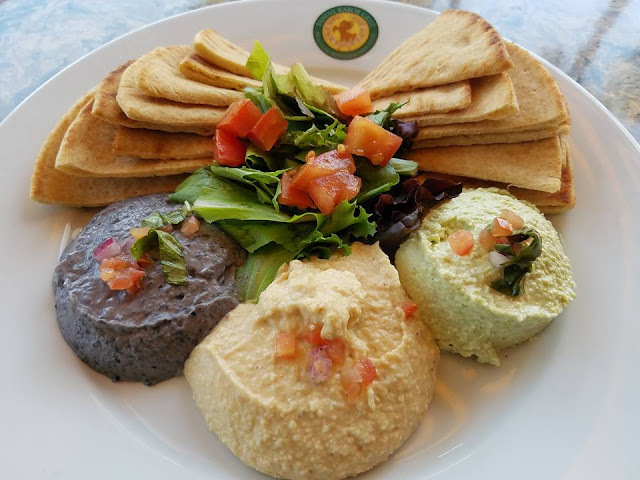 Humus - Variety Plate is Delish. of course Mamosa's for the adults all day long every day for only $2.99. Try a specialty Coffee! 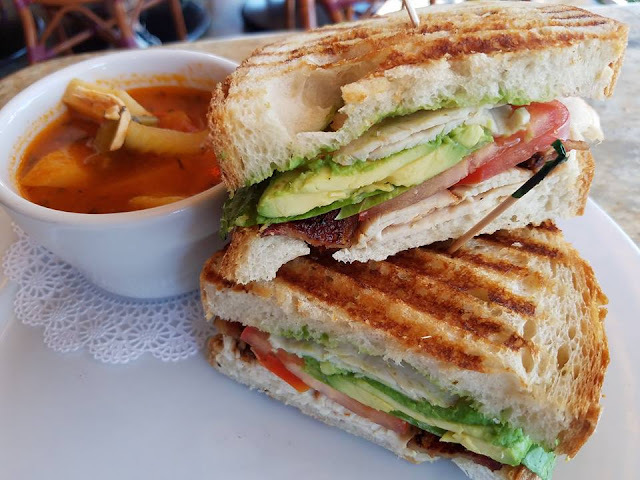 Panini serves LaVazza coffee, and soy or almond milk can be substituted in espresso drinks for no extra charge. Guests can also enjoy a selection of sparkling wine, wine and beer with their meals. The restaurant uses only organic eggs, hormone and antibiotic-free proteins, and uses nothing processed or containing MSG. 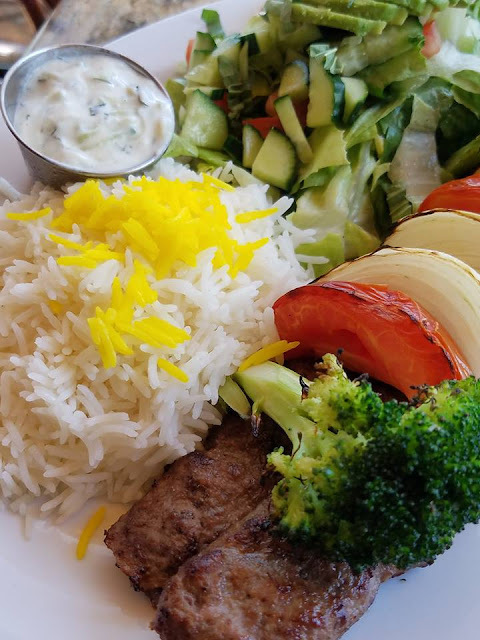 Panini Kabob Grill makes all items from scratch with fresh fruit, vegetables, herbs and dairy delivered every morning. Seating inside and outside. This helps with my kiddo. He likes to be a bit loud and look around at things. With the option to sit outside we can see the people walking by, cars and keep him entertained a bit better. Variety - From the bacon being ordered as a side and crispy, to the orange juice he wanted to keep tasting, the staff is super sensory sensitive to needs as such. Brunch Time - Perfect for the kids really. The timing is before the lunch rush and after the slow moving morning of the kiddos. 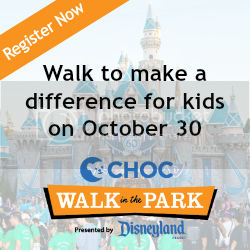 I think the timing of 9:30 to 11:30 is perfect since it seemed to be families and kids outside that timing. Portions are huge - with my picky eater I sometimes have to give him some of my plate or well bacon so in addition to sides that are filling the plate portions are amazing too. You can share and have plenty! Panini Kabob Grill is open daily from 8am until 9:30pm, and offers dine in, take out and catering. 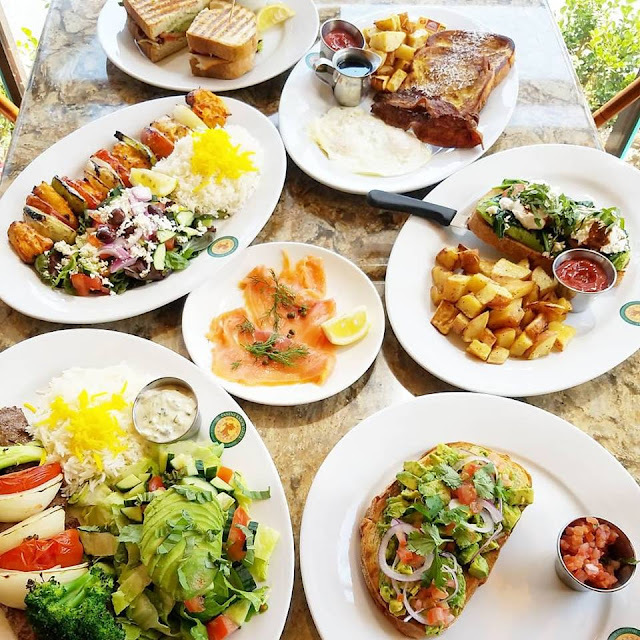 The restaurant is located at 27741 Crown Valley Parkway, Suite 212, in Mission Viejo. For more information, please call 949.367.0442 or visit www.paninikabobgrill.com. To sum it up... They pride themselves on a healthier, Mediterranean menu with everything made fresh from scratch daily, and using organic items whenever possible. Hot tip!! 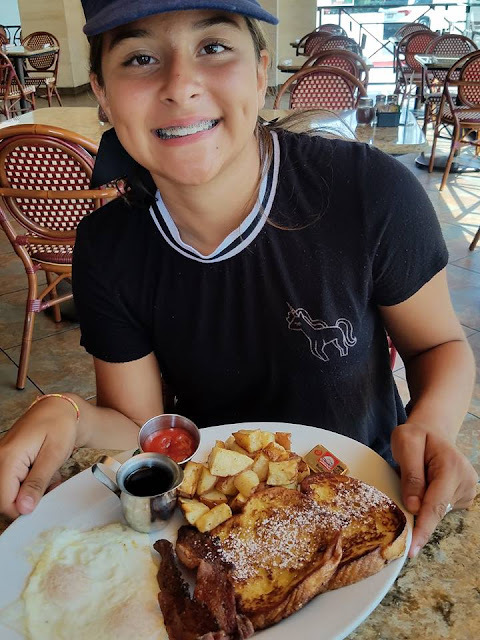 Perfect for brunching with the girls or dinner with the whole family... they also have a great deal on Mimosas… $2.95 all day, every day! Are you ready for a giveaway... enter to win a $50 gift card to visit Panini Kabob Grill in MV too! !